Bueid et al. Azole antifungal resistance in Aspergillus fumigatus: 2008 and 2009. J Antimicrob Chemother (2010): 2116-2118. Wu CJ et al. Azole-resistant Aspergillus fumigatus isolates carrying TR34/L98H mutations in Taiwan. Mycoses (2015): 544-549.
van der Linden JW et al. Clinical applications of azole resistance in Aspergillus fumigatus, the Netherlands, 2007-2009. Emerg Infect Dis (2011): 1846-1854. Fuhren J. et al. 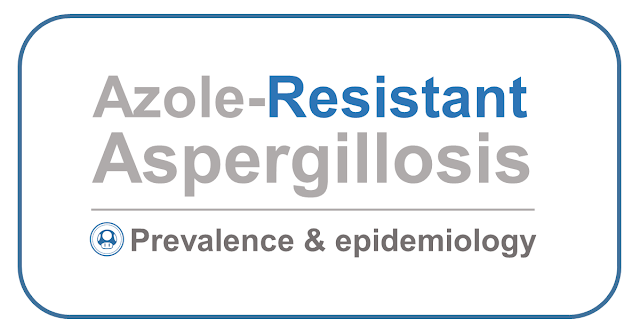 High prevalence of azole resistance in Aspergillus fumigatus isolates from high risk patients. J Antimicrob Chemother (2015): 2894-2898.